Has anyone else realised that the weather has gone really cold this week? Suddenly having to wear tons of layers, having the heating on and complaining about the weather has been quite the shock to the system. This weekend I am having quite the night in before another hectic few weeks at university start, what better time to do something for myself than when its cold? If you follow me on social media then you will also know that I have injured myself this week too, the other day when washing up I cut my finger on a glass and it has left me with quite the injury. It has also happened on my dominant hand, so I am restricted to doing most things - this night in, could not have come at a better time! The first thing on my agenda is to catch up on TV, if you need a series to watch then take a look at my must watch shows post, in this I talk about the programs that are best to binge and watch when you need something. At the moment, I am loving the new season of Jane the Virgin and The Walking Dead. I still need to get on the Stranger Things bandwagon, so maybe that could be a task to tackle this weekend! There are also a few films that I love re watching over and over again, with the Wireless Speakers by Panasonic I can enjoy the films on such a small TV but with an incredible sound system. 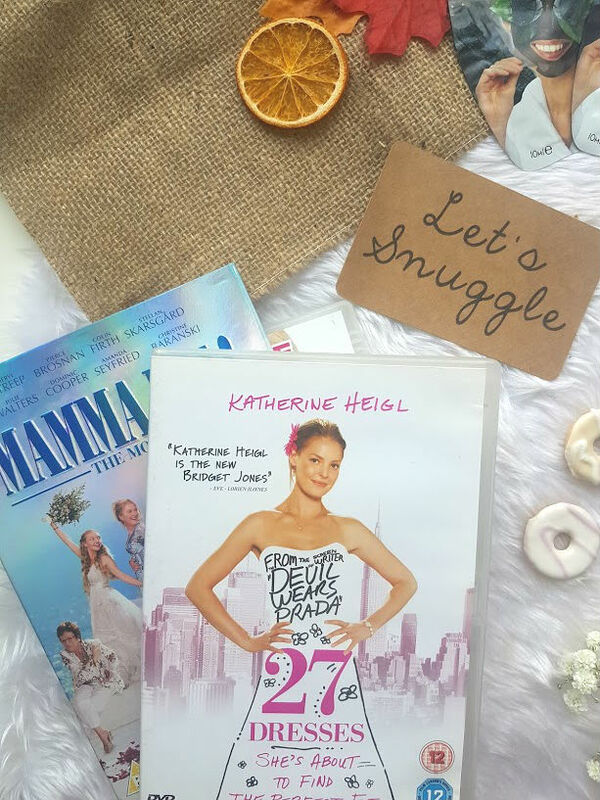 27 Dresses, The Back Up Plan and Mamma Mia are just a few that I adore watching and of course know all the words to, who doesn't love a good old chick flick? What's some time to yourself without food and drink. I love making a hot drink, at the moment I am loving Toffee Nut Lattes from Nescafe - you can buy little packets in the pound shop, mix with hot water and voila you have a gorgeous autumn drink. 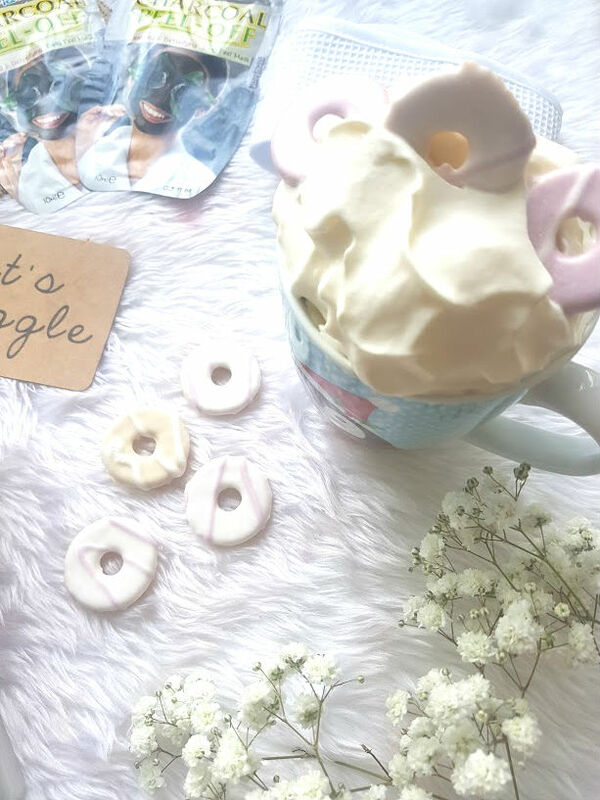 A classic hot chocolate is also a great idea, on a recent browse through Pinterest, I found some amazing recipes, this one for white hot chocolate is amazing and so easy to make. It makes enough for two, so you can either share it with someone else or just have two cups for yourself! My skin is also in need of a serious pamper, it isn't breaking out as badly as it usually does but it is still very much congested and dry. 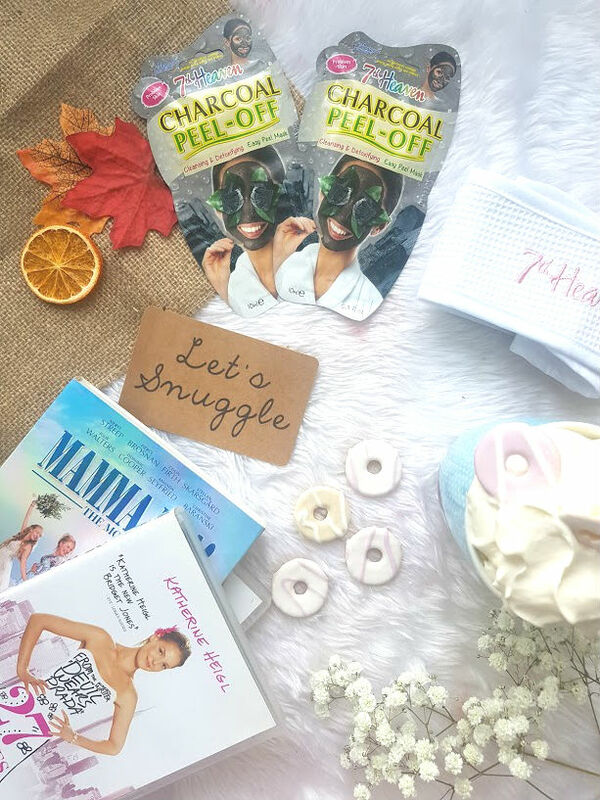 I have been loving these 7th Heaven Charcoal Peel Off Masks recently*, using one once a week has helped bring everything from under my skin out to the top. Those pesky under the skin spots are horrendous and so damn painful, this mask brings that sucker right out to the top and ready to disappear in no time. 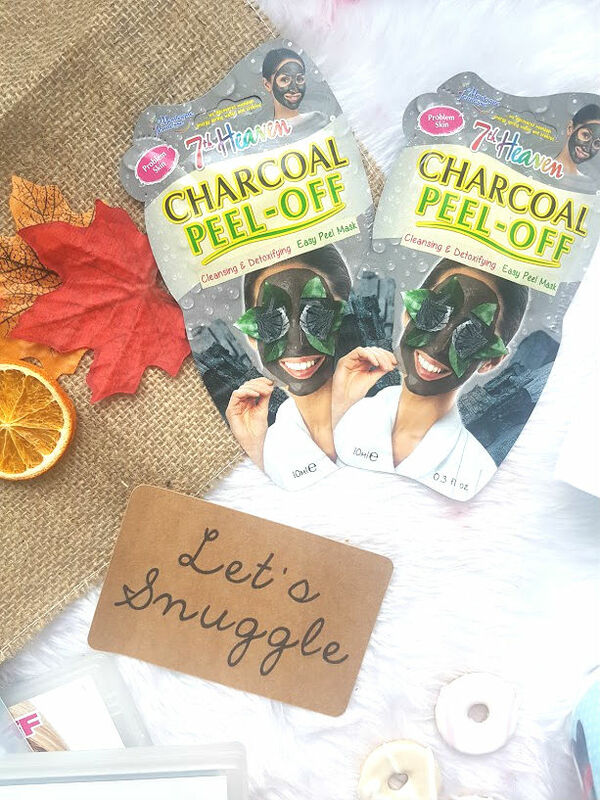 Charcoal is a great ingredient if you have congested skin as it works effectively and quickly, within hours of using this mask, I am able to tell a difference. I also love the fact that it peels off, so much easier to clean and the satisfaction of peeling is so good. 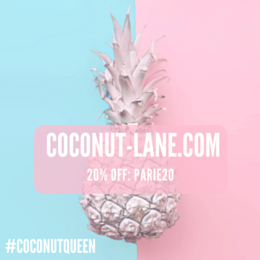 As soon as this comes off, I have been following up with some Cocoa Butter and Oils to keep my skin hydrated, the cold weather is really taking its toll on my skin. I asked on instagram for an eye cream the other day as my bags are soo bad, the list is very long but I am excited to add one into my winter routine.